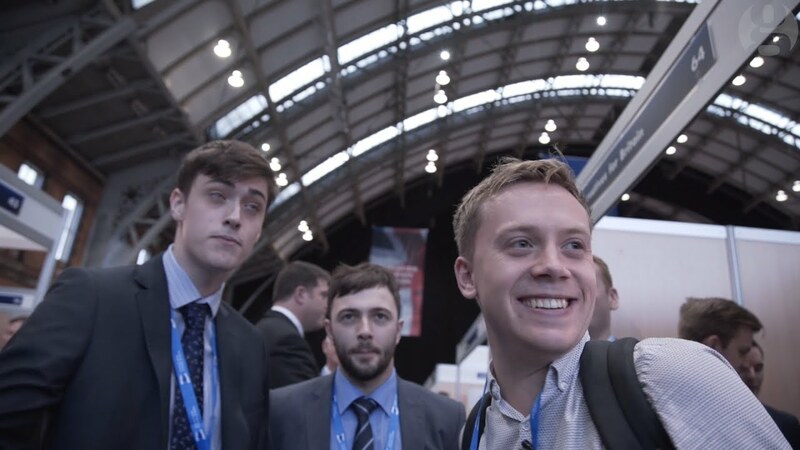 Owen Jones, Will You Marry Me? It’s the Conservative Party conference and what should any leader of the opposition be doing? Absolutely destroying it with zinging one liners and put downs then explaining how their progressive and innovative alternative is what this country needs to transcend the woeful contradictions of capitalism, deal with climate change, end inequality and ensure people can get back to the important task of being happy and watching Bake Off. So, what’s Jeremy Corbyn doing? Tweeting about the Labour film festival. Facepalm. Fortunately, someone whose a fan of Labour lives in the 21st century and understands how social media works and that’s everyone’s favourite cherubic Guardian (or is it guardian?) journalist, Owen Jones. “Labour need clear, crisp, repeated messages on everything from the Government’s retreat on economic policy to Brexit chaos – and fast” he said yesterday, whilst actually at the conference. He was going around with his cheeky-chappy grin and interviewing Tories, helping the rest of us see that these people are human even if many of their policies are inhumane. “The Tories’ harsh Brexit puts your job at risk – only a Labour Brexit will protect your job. Labour’s line should be something like that.” Say it like you see it Jones and thank god someone is. As for Corybyn, “. @LabourFilmFest is coming to the North West for the 1st time. Find out about the great films they’re showing here → http://northwestlabourfilmfest.com.” Ok, so the current Chancellor is basically backtracking on a load of Tory economic policies and resigning this country to another ‘lost decade’ and you have nothing to say about it? The Tories are practically handing you their own heads on silver platters and you’re too busy tweeting about a film festival!? You can tweet about more than one thing! If, like me, you find yourself frustrated with some of Corbyn’s behaviour but realise he has just been re-elected as head of the opposition then I reckon now is the time to call on him to step up. Yes, he has many great principles and ideals but that’s not enough. They must be used as beacons to guide a very practical and pragmatic politics for right now. The situation is dire and we aren’t going to get any form of socialist utopia anytime soon. Behavioural and value change across a nation will take at least a generation, this is barely the start. So, Jeremy, get tweeting, get zinging and call out the many failures of the Tories. Please make good on your re-election and prove to us you really can be the next Prime Minister because Britain is scared of change and we need to have confidence in the one who professes to be the harbinger of said change. And, Owen, marry me? How Can We Help Jeremy? Jeremy Corbyn, Labour leader as of yesterday, has a big task ahead of him – to challenge and change the economic and political status quo, to unite the Labour party, to endure the slings and arrows of an often outrageous press and to somehow continue to get away with wearing pulled up socks and sandals. So, sartorial advice aside, what can we do to help? Fortunately, the answer is simple – we can do exactly what Corbyn is doing – utilising the power that he’s got to make a difference. Most of us aren’t leading a political party but I’m sure we’re all doing things – we might write blogs, we might volunteer in our local community, we might have drinks with mates down the pub, we might watch Bake Off, we might tweet. Fortunately, all of these provide opportunities to exert the power that we do have to engage with the shift in politics and economics that Corbyn is calling for. For example, we can write blogs on issues that we’re passionate about; we can chat to the people in our community about the things they care about and how we can support each other; we can offer inspiring visions of a better future to our mates over a pint (and if they challenge us we can calmly remind them that this change is for the best, what’s not to like about greater equality and prosperity!? ); we can get inspired to bake cakes for our friends (and decorate them with the Labour flag); and we can tweet stuff too. This may all be incredibly obvious but I really think it can be that simple – for too long a narrative of individualism, self-interest and cynicism has told us we’re worthless and trying to make a difference is pointless. But it’s just not true, we all have power and we can all use it for good. It might be something incredibly small – a tweet – or something bigger – a cake – but all these things add up. We need community again, we need to start working together, whoever we are and however small the action. And even if it’s just a drop in the ocean what is an ocean other than multitude of drops.